Handling finances doesn’t require an MBA. There are basic skills that make you a savvy financial manager. This section contains a group of articles that cover money management topics everyone should know. Start with your take-home pay. If you get the same paycheck each period, this is easy. If you have inconsistent hours, earn tips, are self-employed, etc., estimate your income based on past earnings adjusted for any future changes you know about. Add all other reliable sources of income, such as support payments. Add up all your income. Make a list of all your expenditures. Use check registers, monthly credit card and loan statements, cable and phone bills, receipts for major purchases, etc., to make your list. To get a handle on cash spending—including small, day-to-day purchases—save cash register receipts or write down expenditures in a notebook or track on your phone for a month. List groceries, eating-out costs, prescriptions, house supplies, and school supplies. Also list periodic payments, such as insurance premiums. The more months’ spending you capture, the more accurate your calculations will be. Add up all your expenses. You can do this on a sheet of paper. Income on the left; expenses on the right. Microsoft Excel has a popular budgeting spreadsheet. Does your income cover your expenses? If not, the next step is to determine how you can get your spending in line with your income. If your income covers your expenses, good for you. Now, are you able to put money into savings? Determine which expenses are essential and which are discretionary. Don’t confuse luxuries with necessities. Eating is a necessity. Eating at a four-star restaurant is a luxury. Consider brown-bagging it a few days a week. If your cable TV bill is high, go for a cheaper plan or cut the cord. A big cellphone bill? Find a cheaper plan or a less expensive provider. Watch the small stuff. The sum of all those $4 lattes at a coffee shop might shock you. Drink water sometimes, or make your own coffee. Clip coupons (paper or e-coupons); create a “shopping club” with friends or family so you can share big-box quantities. Ask if your employer offers commuting assistance. Borrow instead of buying — from libraries, from friends — things you use once or rarely such as books, DVDs, and fancy clothes. Use cash. Credit and debit cards are great conveniences, but they are easy to overuse. When you spend cash or write checks and enter them in a register, you’ll see what you’re doing with your money. If all attempts to cut expenses still result in a deficit, look at Income. Can you work overtime or find a second job a few nights a week? It might be necessary, even if only temporarily. Once you have determined what money is available and what expenses you have, create a spending plan. This is simply a month-by-month view of your income and expenses. Some expenses do not occur every month, so you have to plan for them. Some expenses come without warning, so you have to allow for them (have some savings, or some flexibility in your expenses.) Use your budget worksheet and all the expenses you tracked to set this up. If your employer offers a 401(k) plan, join it, and contribute at least as much as your employer will match. Contribute the max if you can. Your contributions are pre-tax, so you might not miss the money from your take-home check. If your employer does not offer a 401(k) plan, open an IRA yourself. You can deduct your contributions to a traditional IRA. Remember, money in these accounts cannot be withdrawn before age 59 1/2 without a penalty, except for specific reasons, such as education. 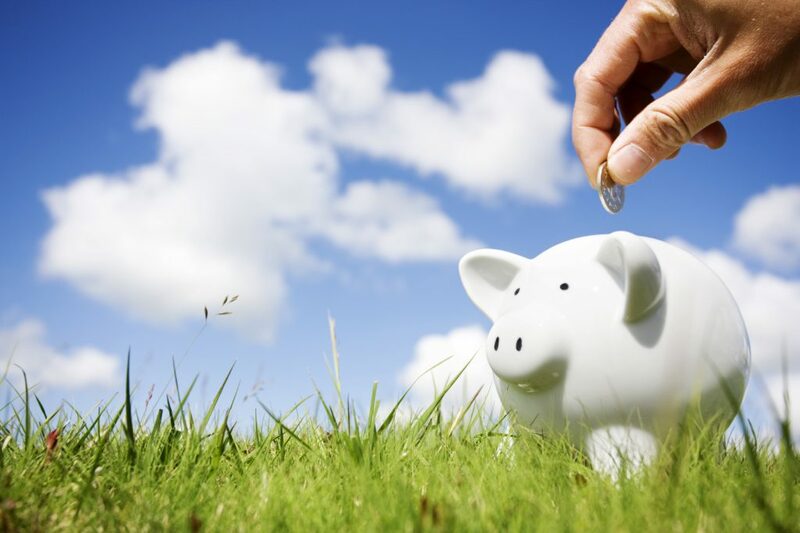 Savings Accounts: There are many ways to open a savings account. Banks, both local and online, and credit unions offer safe, easy-to-use accounts. Look for a good rate of return (APY) and convenience with low minimum deposit requirements and no fees. com has lists of savings and money market accounts nationally and locally. Your checking account bank may offer special rates for dual accounts. What to save? Put your tax refund in a savings account. Put any gift or windfall money in savings. Put any amount, even $5 a week, in savings. It will grow, and you won’t be tempted to spend it. Financial advisers recommend having three months of expenses in savings.